An interesting object brought into Alford Heritage Centre and Museum recently was this bottle stopper with a very local connection, namely the locally well known Mrs Spence of the Haughton Arms. See also image number 1204. 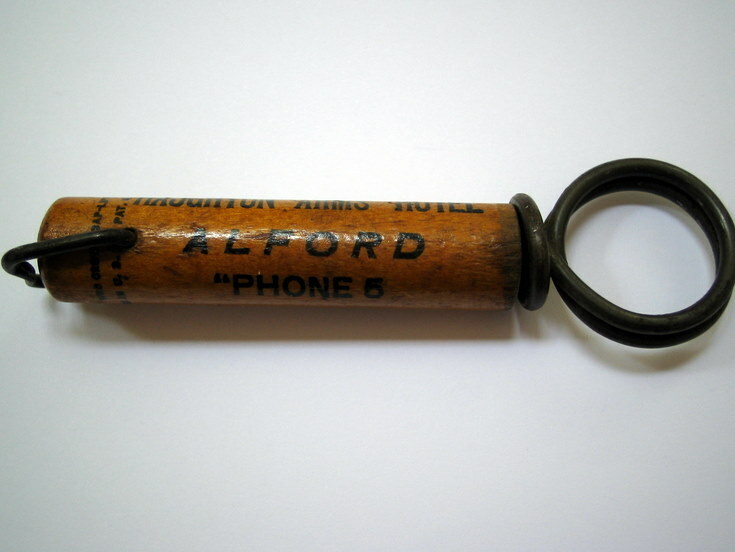 Notice that there obviously weren't many telephone numbers at that time in Alford!